Public health freshman Taylor Eng had her door halfway open when a knock and a stranger introduced himself as Nishanta “Nishi” Rajakaruna. He is not only a resident in yakʔitʸutʸu living community, but an associate professor in the Biological Sciences Department. This year, three faculty members call on-campus housing home. Through the Faculty in Residence (FiR) position, faculty live on-campus, form strong connections with residents and become an integral academic and community partner. 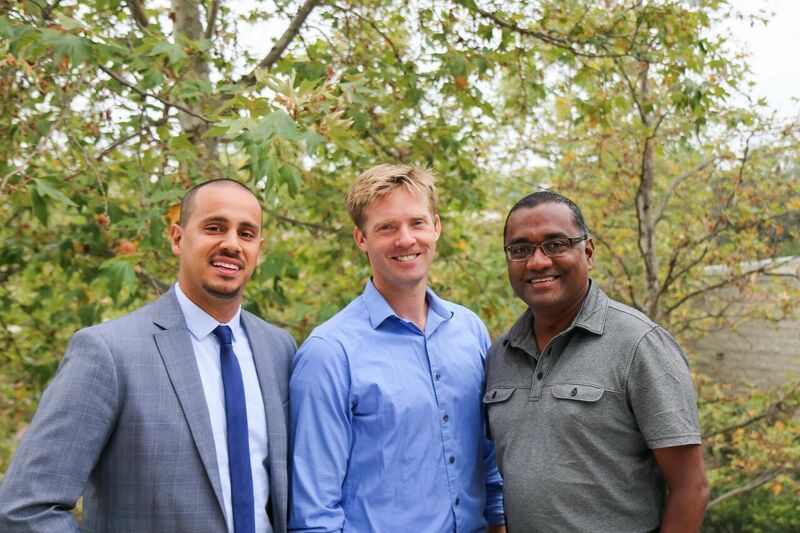 Faculty participants also include Nathan Heston, full-time lecturer in the Physics Department who lives in Cerro Vista and Oscar Navarro, assistant professor in the School of Education who lives in Poly Canyon Village. For Rajakaruna, living in a residence hall was an easy decision to make. The faculty are among the first to participate in the FiR pilot program at Cal Poly. The resident faculty role incorporates three main components of serving as a role model and mentor to residents, initiating and participating in residential community events and facilitating the involvement of other campus faculty colleagues in residential communities. Part of Rajakaruna’s motivation to be in this position goes back to when he was completing his undergraduate degree. In the FiR position, residential faculty do not share the bathroom with residents because they receive an apartment in their assigned residence hall including utilities and access to free laundry machines. Benefits also include a meal package to be used in Campus Dining facilities and they receive an event programming fund. Chances are that when students meet Rajakaruna, they will be invited to drink loose leaf tea with him. Recently, Rajakaruna had a successful tea program where more than 70 students attended. According to the Cal Poly FiR position description, the benefits for the position are provided with the understanding that the resources are necessary for enabling interaction with residents and fostering community. Cal Poly is not the first university to implement a FiR program. Such faculty programs have been a part of numerous institutions for decades, including University of California, Los Angeles and University of Southern California. Considerable research has shown that student-faculty interaction influences students’ career goals, satisfaction with academic and nonacademic aspects of college and impacting academic and personal development. “If we can break down that barrier and really connect faculty as a human and as a resource and support in the residence hall, then that can help with the big picture piece of the needs of the students, graduation, retention and sense of belonging,” Muller said. Rajakaruna has interacted with students and discussed their interests in applying for study abroad programs, getting full-ride fellowships, and with questions about scientific research. The purpose of FiR is that by developing a personal connection with professors outside the classroom, students become more comfortable to approach professors as someone they can talk to, according to Muller. The model of the FiR is not for faculty to be expected to manage residence hall violations, such as drinking alcohol on-campus. After completing the first quarter of the FiR pilot program, Muller said much of the feedback received from students is that they see the faculty as actual people where the faculty have become members of the on-campus residential community at Cal Poly. Rajakaruna said he has not had any issues with having freshmen as neighbors. As part of the position, Rajakaruna instructs botany and biological sciences courses and enjoys sharing his love for plants with others. Combined with his passion for plants and students, Rajakaruna plans hikes every Sunday where he has gotten around 20 to 40 students to join him on his botanical adventures. Living in an apartment in the new living community means having the convenience to walk to and from work, but for Rajakaruna, teaching is more than work.